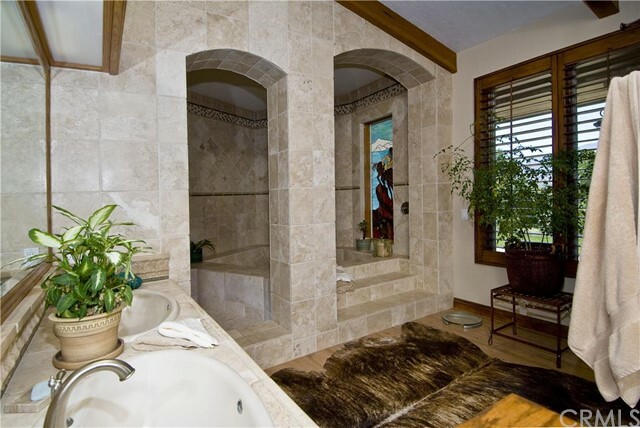 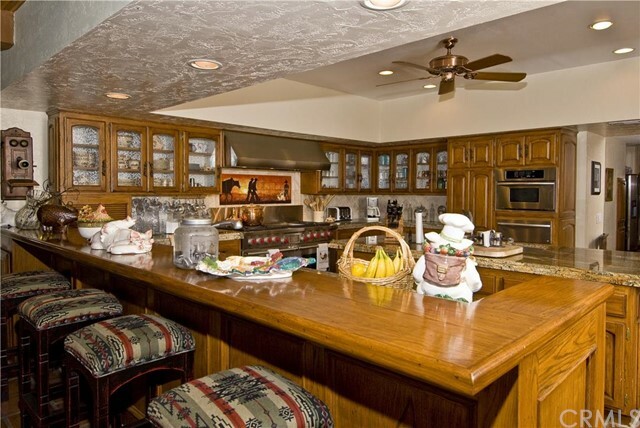 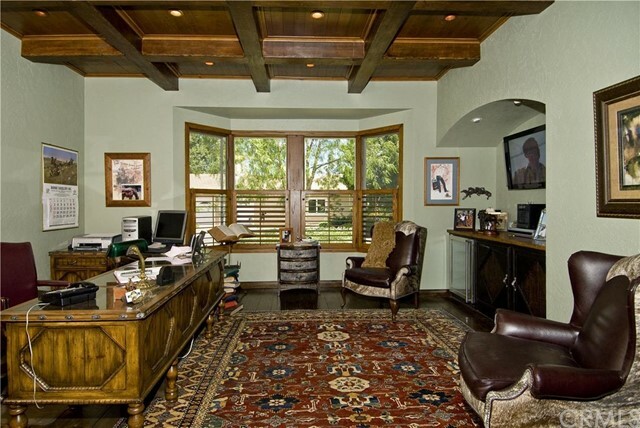 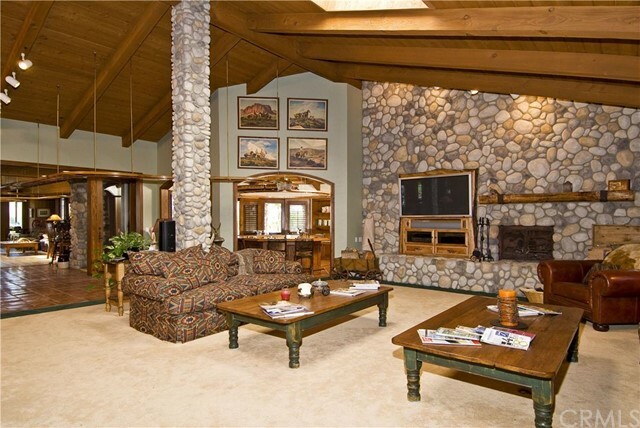 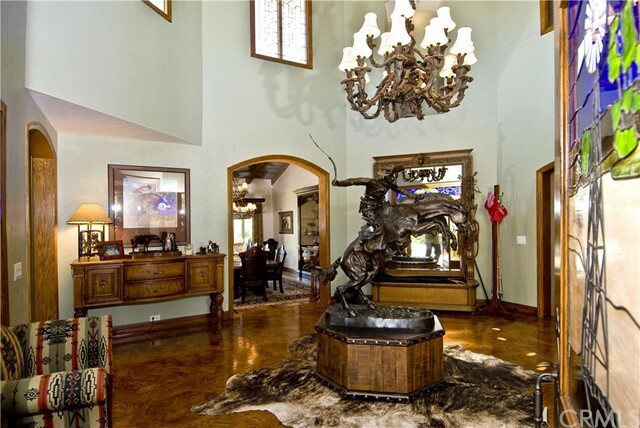 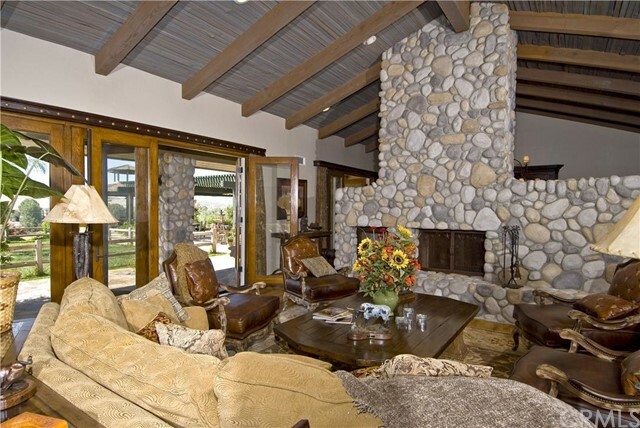 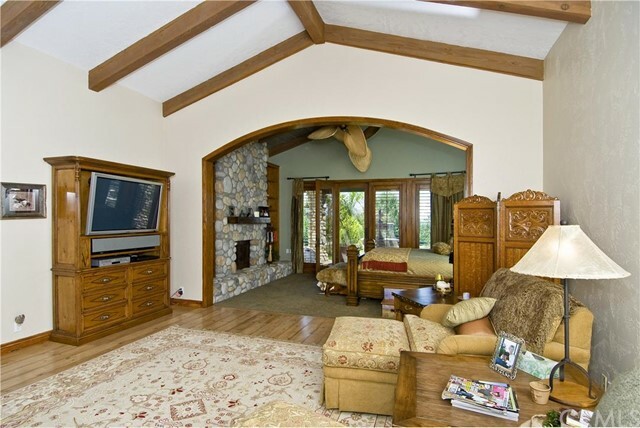 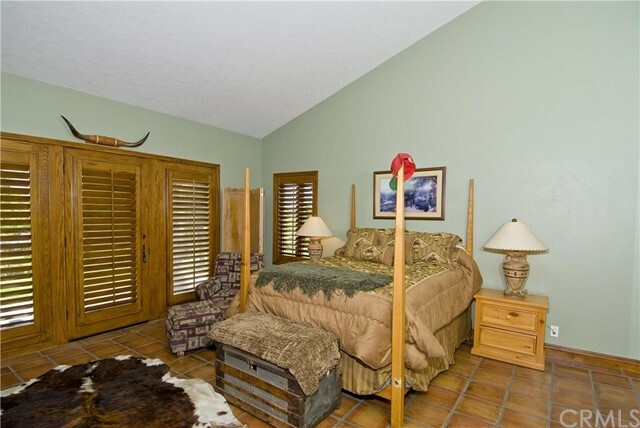 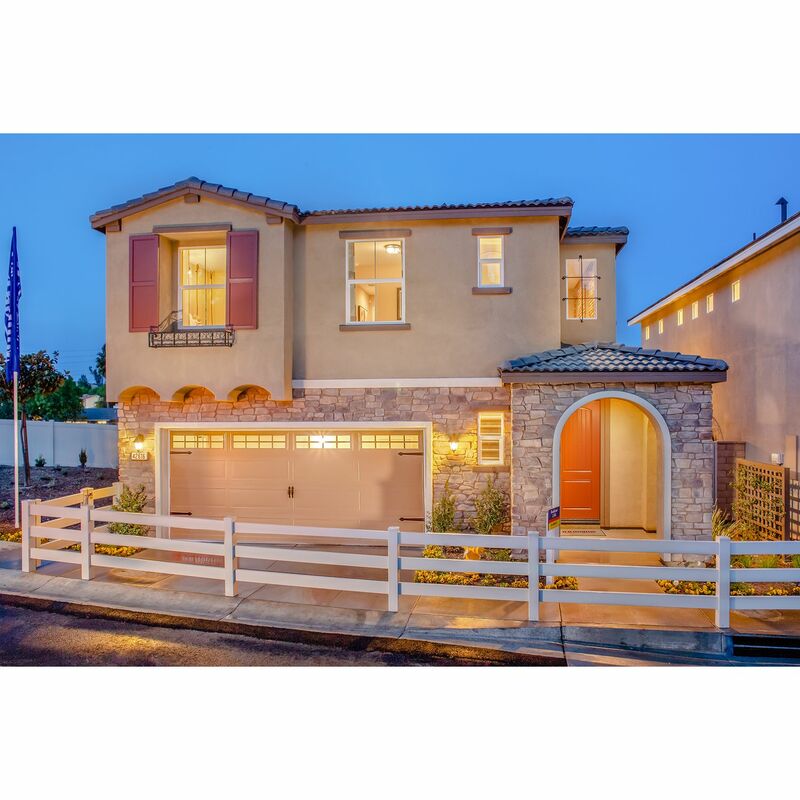 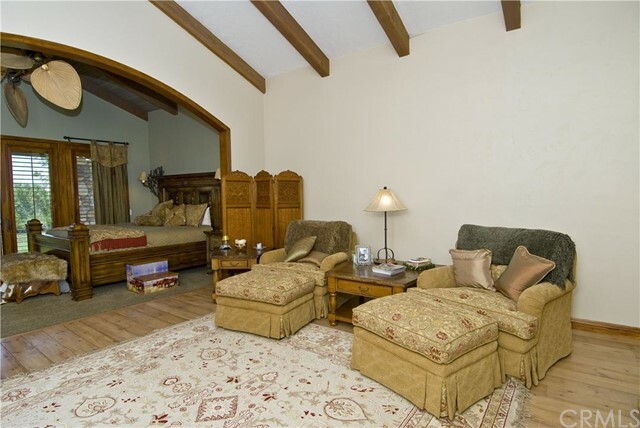 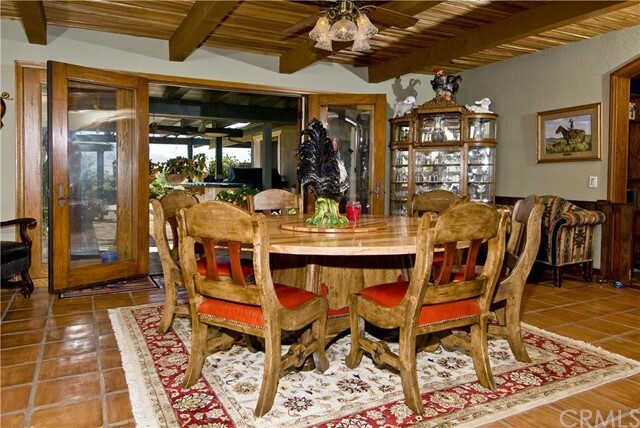 The CRC Ranch... includes a sprawling main home encompassing approximately 11, 000 square feet with 8 bedrooms and 81/2 bathrooms of rustic charm with multiple entry points and designed for extended family use. 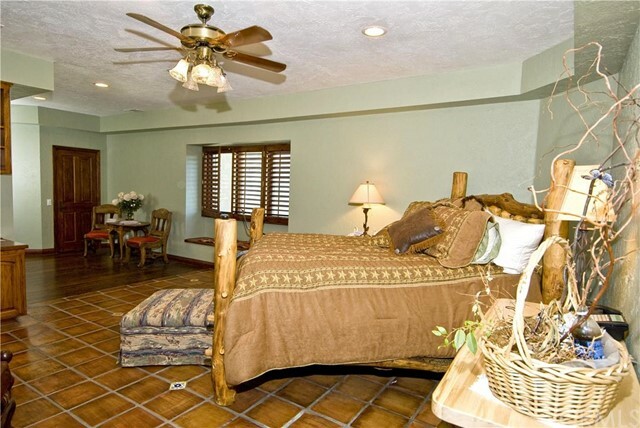 The home is mostly on one level with a two bedroom suite on upper level. 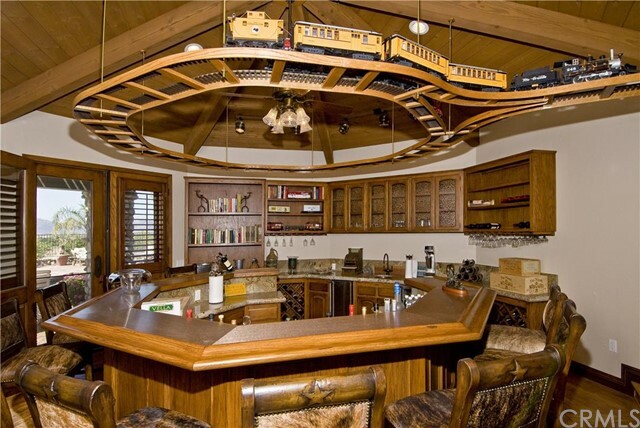 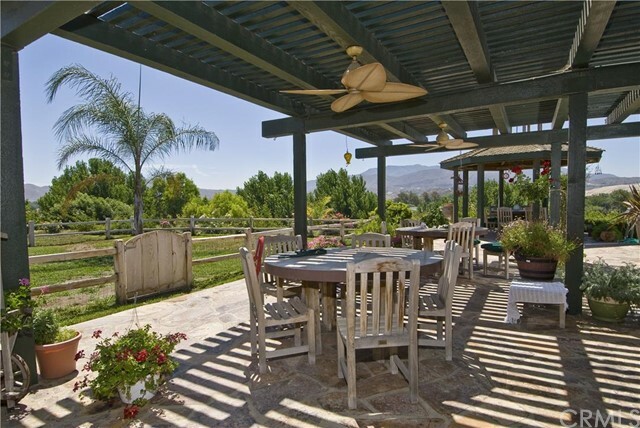 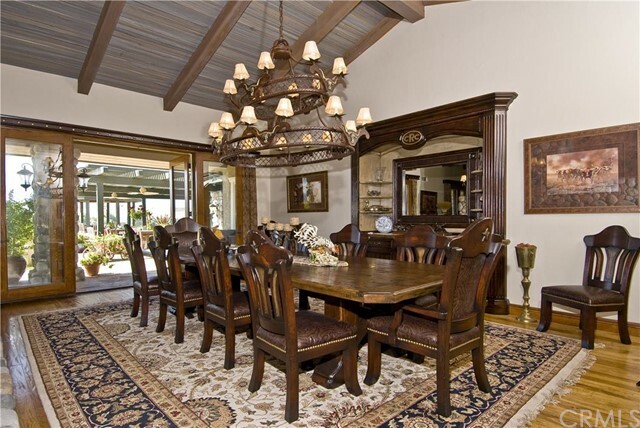 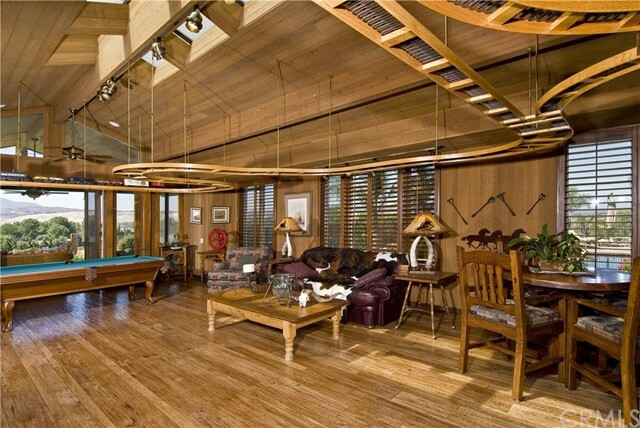 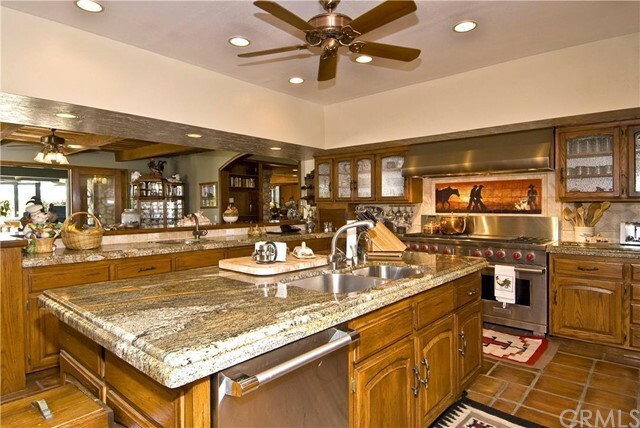 Commercial grade appliances in the kitchen, an elevated train track in the game room over the bar, open beamed ceilings, fireplaces in the family room, living/dining room and master suite, views overlooking the ranch and Temecula Valley are just some of the features of this unique estate. 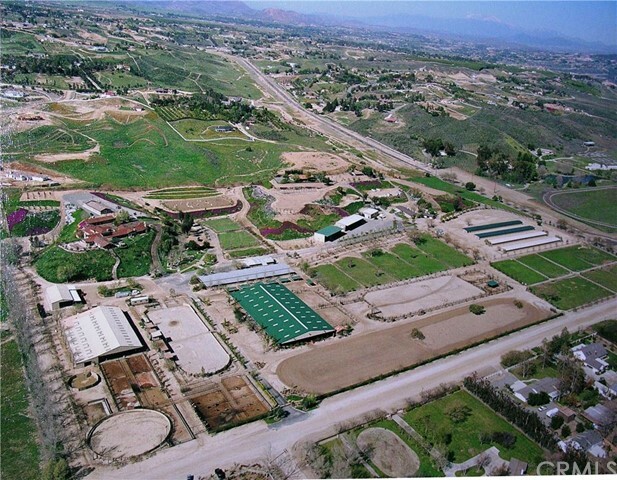 There is a swimming pool and garages for 10 cars and we haven't even started on the equestrian facilities. 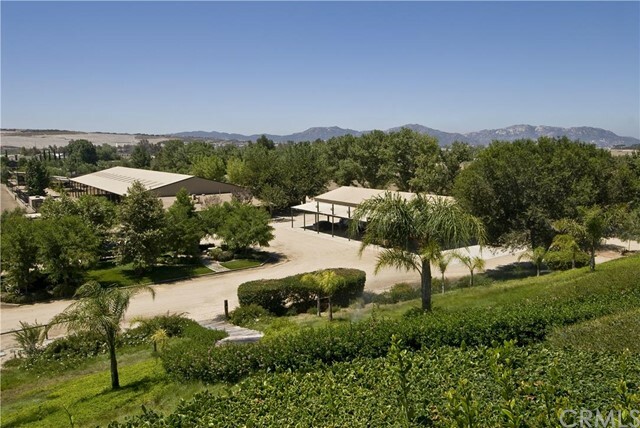 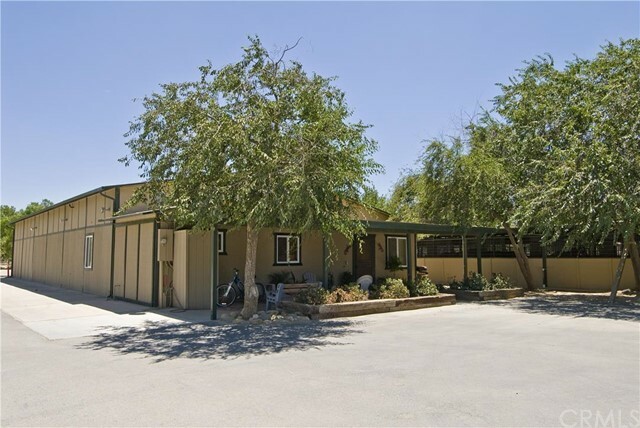 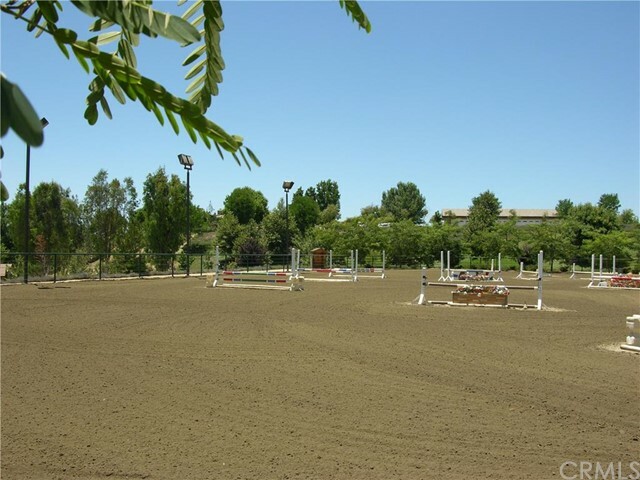 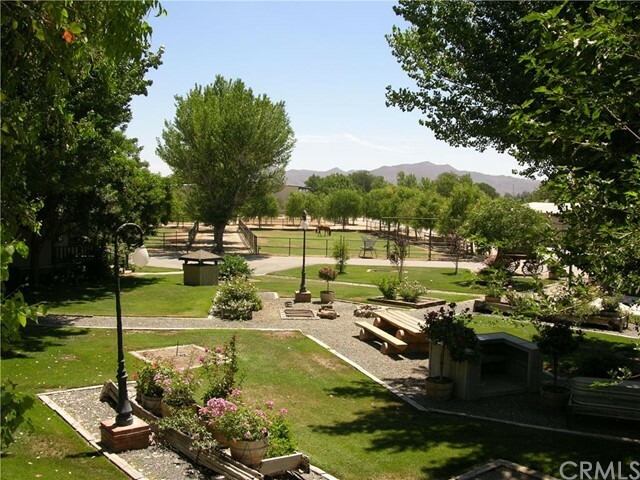 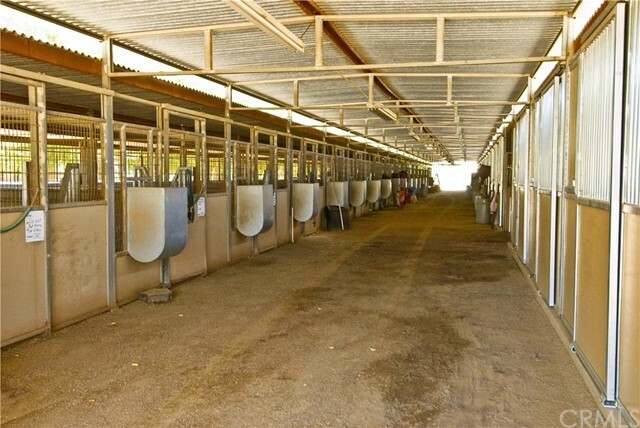 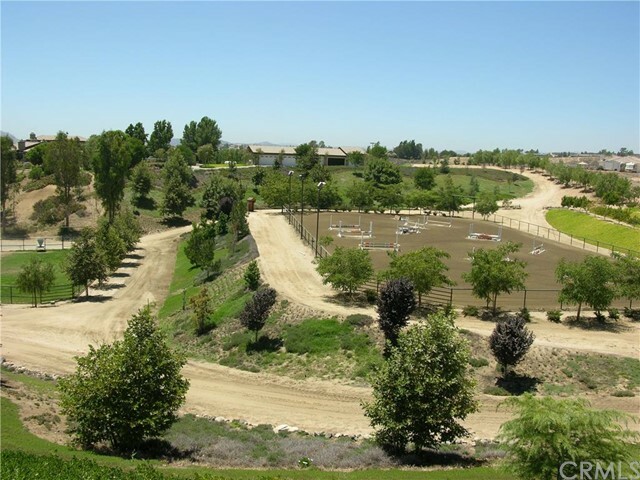 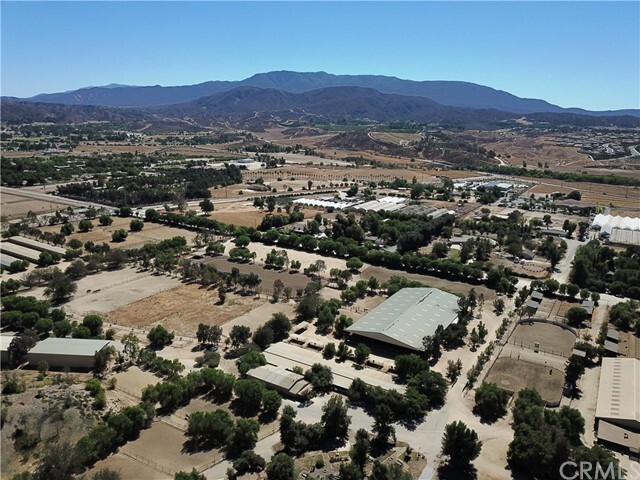 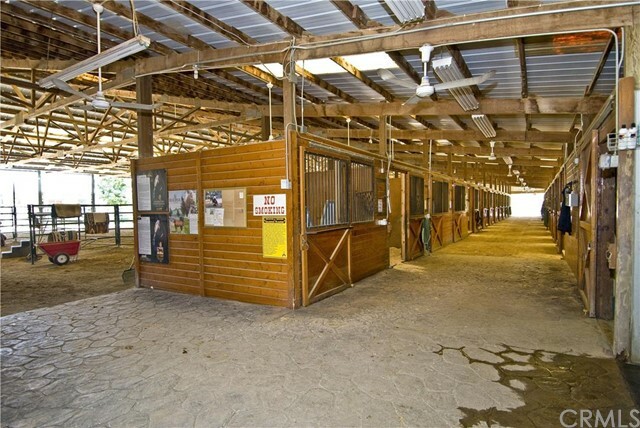 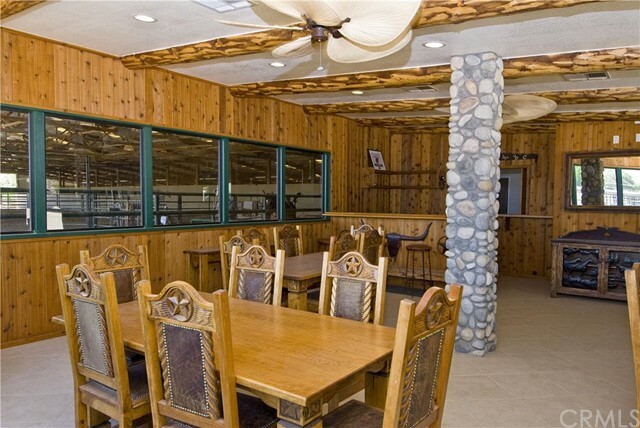 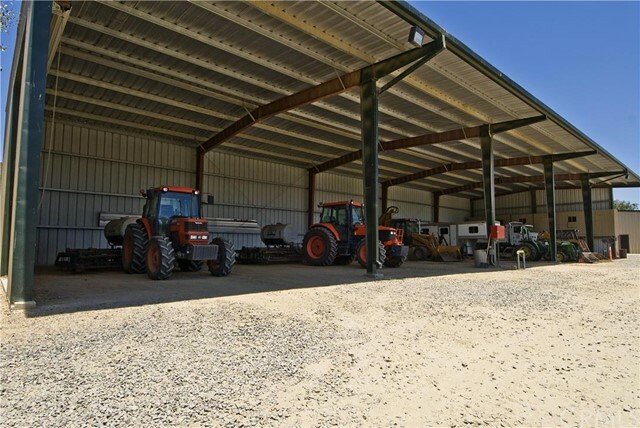 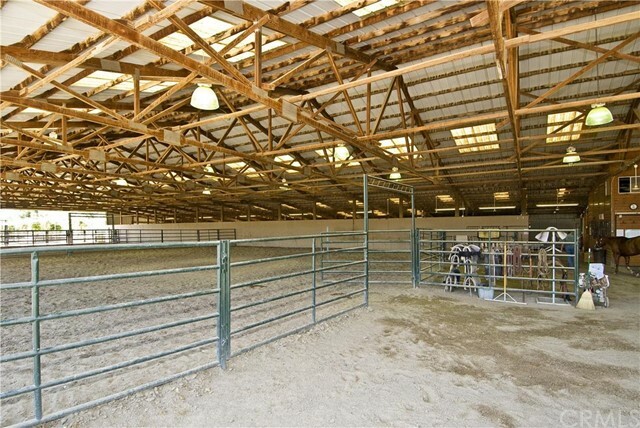 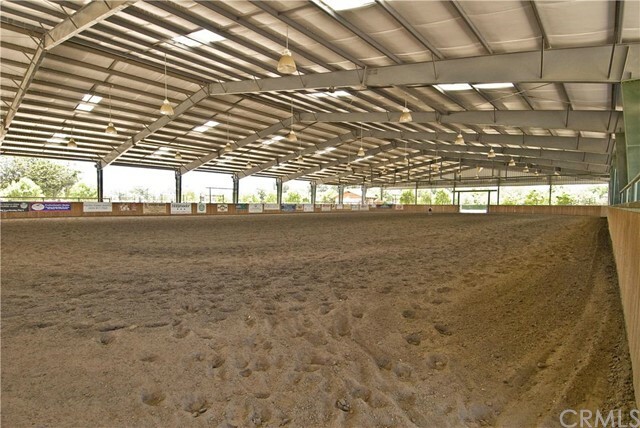 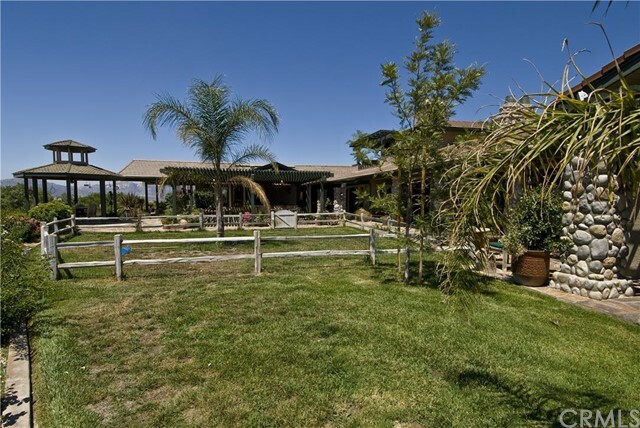 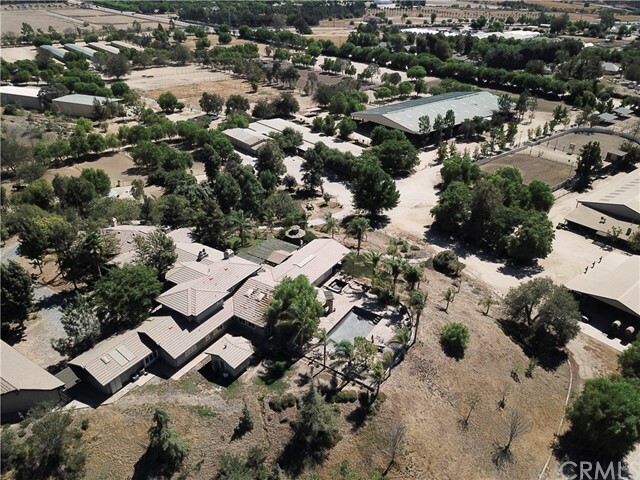 A state of the art covered riding arena, a secondary covered arena, a secondary arena adjacent to the main barn and office area, multiple paddocks and pastures, a large mare motel, outside riding arenas, hay barn and more. 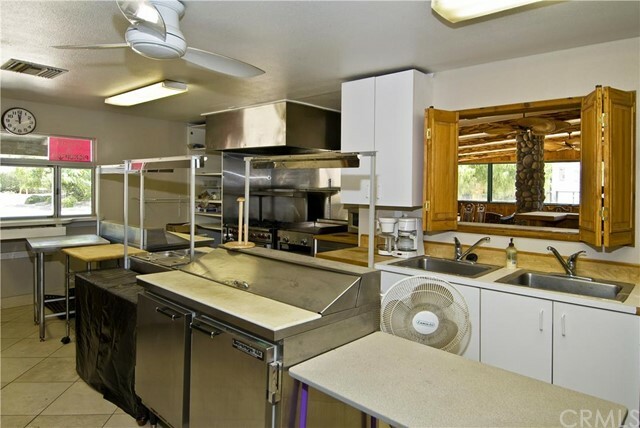 There is a guest house and workers quarters to round out the offering. 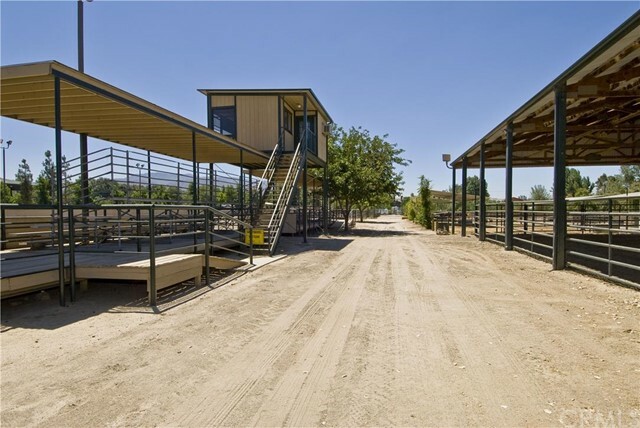 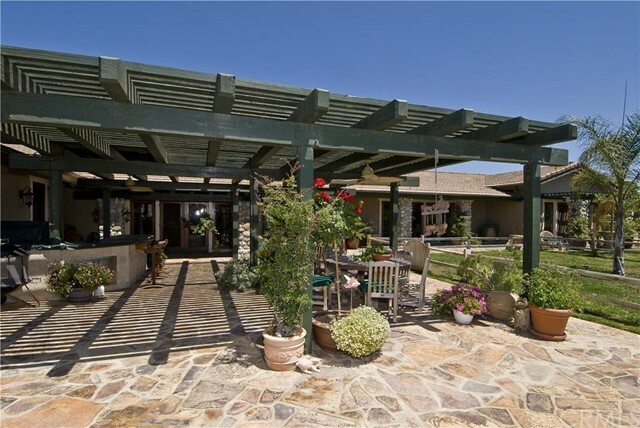 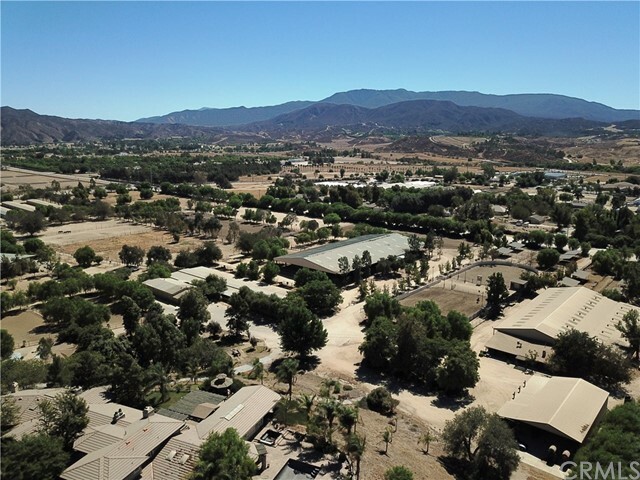 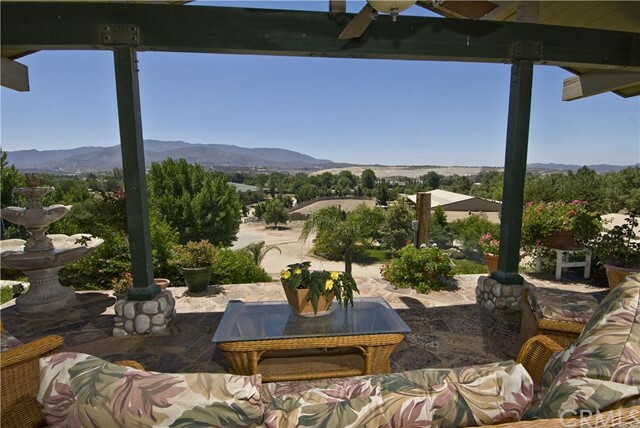 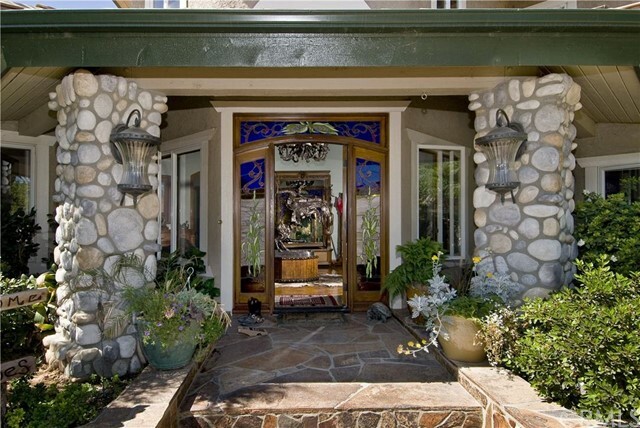 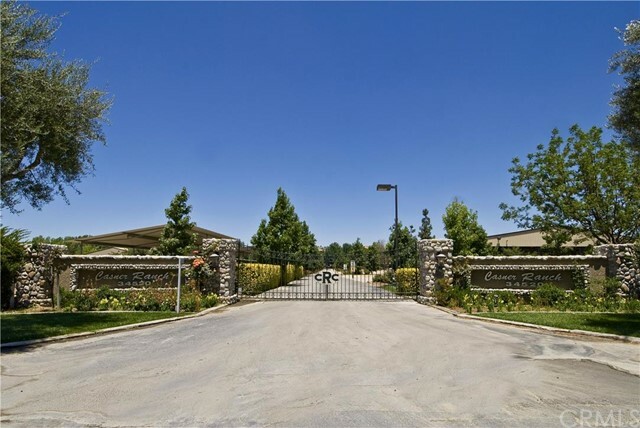 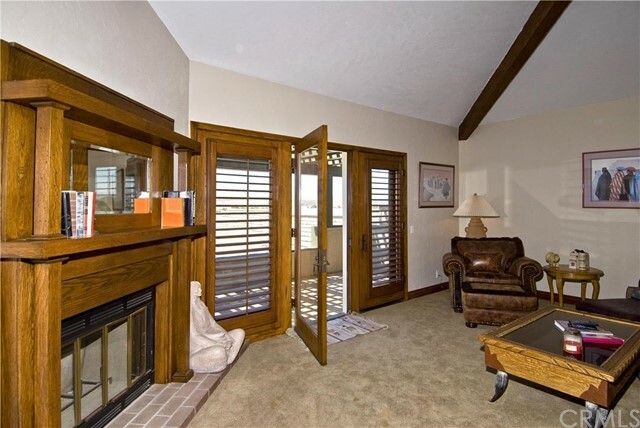 Adjacent 33.85 acres is also included with a 2238 square feet home that sits on the bluff over looking the ranch and city beyond along with additional building pads . 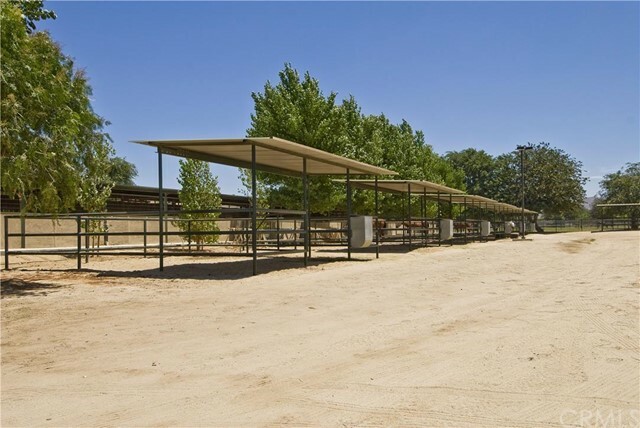 Additional outbuilding, storage barns for equipment water and electrical throughout make this a compelling ranch/development story. 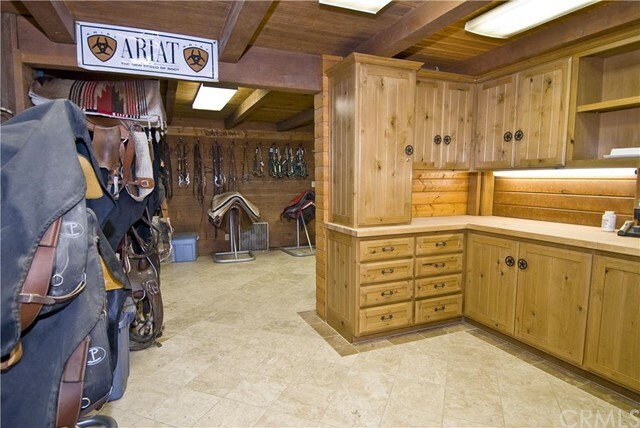 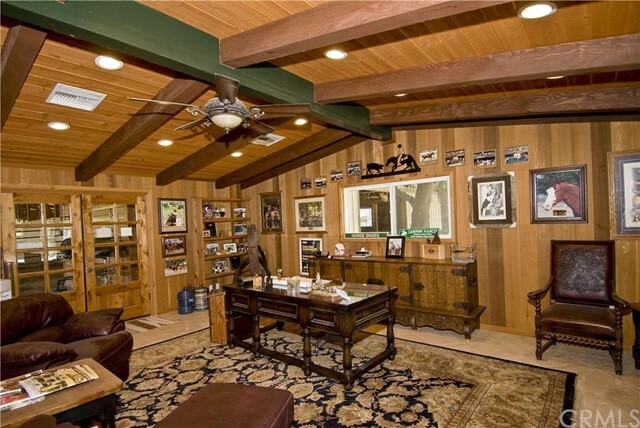 These fall in the wine country equestrian zoning. 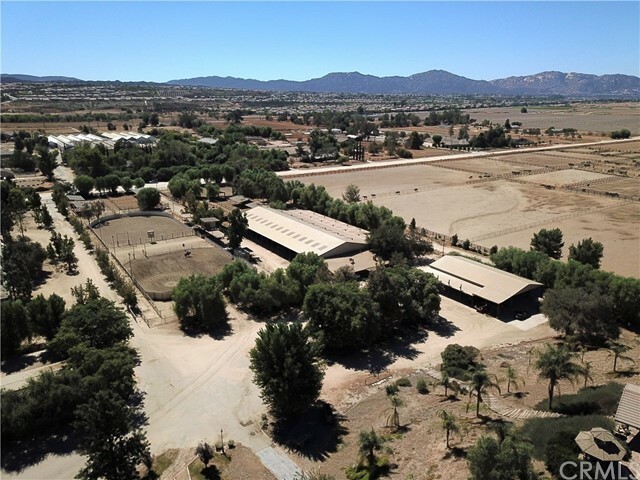 Seller will sell the 33.85 acres separately for $2, 495, 000. 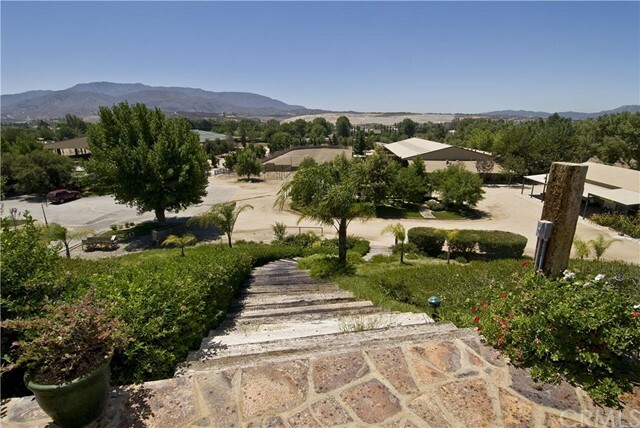 Directions: Hwy 79 to Anza left. 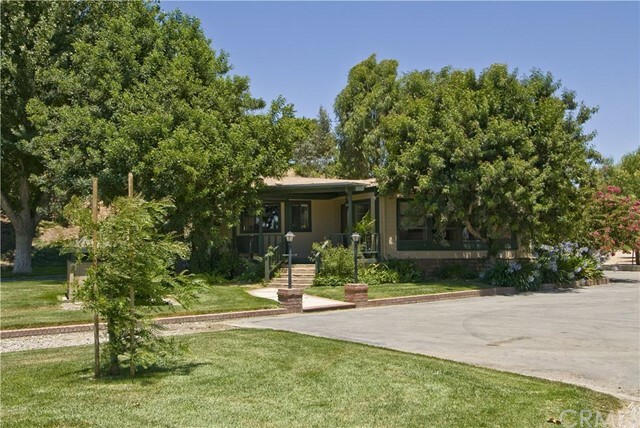 Corner of Anza and De Portola. 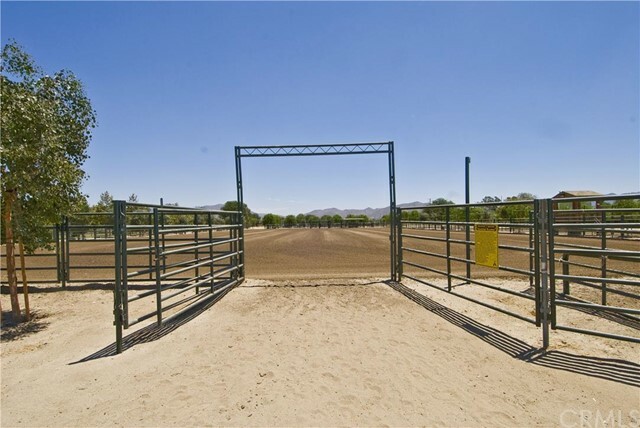 Enter gate on Anza to enter.